Charles and Jolene are the faces of Terra Perma Design - two Chemical Engineers who have turned their brains and passions towards teaching sustainable gardening, ecological and regenerative farm design, Permaculture and eco-living in WA. Terra Perma Design (ABN: 77119779590) is a ecological and agrearian design and education business that was based in Perth, Western Australia until 2018 and then transitioned to beautiful Pemberton in south Western Australia. Our personal and business aim is to educate WA's folks, both urban and rural, in ecological systems, Permaculture design and sustainable living by running the 72 hour life changing Permaculture Design Courses (PDC), farm design consultancy and shorter sustainable living workshops. We run sustainable living, gardening & home design workshops for councils, community gardens and whenever we have a spare weekend to head to festivals. See some of our topics on our information or workshop tabs. You can request a workshop, a design consult or help with a private or community Permaculture project. We do our best to accommodate individual requirements - Just Ask! Education is our focus (rather than us designing your farms and gardens), as we prefer to teach you how to create your own unique naturally thriving systems and lifestyle, and mentor that evolution over time (as required). When designing a detailed urban or farm system for someone, they generally won't understand the details and thus can't manage the system. Educating and mentoring the client to ensure they have the ability to evolve with their design is as integral to our work as the design itself. Charles Otway is a passionate edible plant garden designer. Growing up in Pemberton on small farm Permaculture rootstock, he has seen, applied and eaten much of the theory and techniques of Permaculture and Regenerative Agriculture. 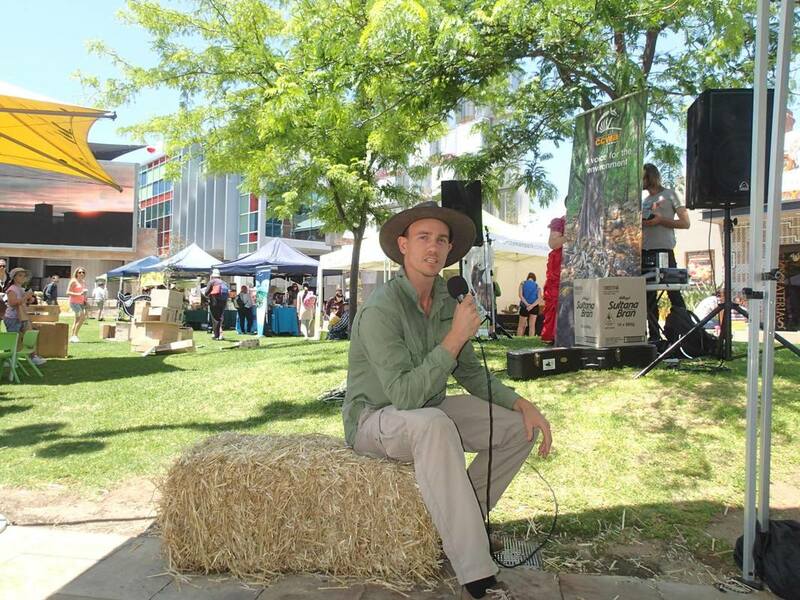 He is a fully qualified trainer, experienced sustainability and food garden designer and popular public speaker. More recently he has moved into farm design and Regenerative Agriculture consultation with a return to family farms in Pemberton in 2018. Jolene Otway is fascinated by soil and the challenge of growing the soil in an agricultural landscape. Jolene is currently working on a PhD focused on soil carbon modelling. The final product is the South Western Australian RothC Model (SWARM) tool which has automated inputs from WA's extensive soil and climate (current/future) databases, and is tuned to estimate soil carbon down to the cross-field scale. This work has enabled her to convert her city kid status into a valuable rural brain with the transition of the family to Pemberton. Here she looks forward to observing the soil system's development under thoughtful land management. She is an educator, course facilitator and "Permaculture for Dummies" interpreter who has been documenting her exploration of soil and Permaculture through her blog - The Soil Hugger's Journey.